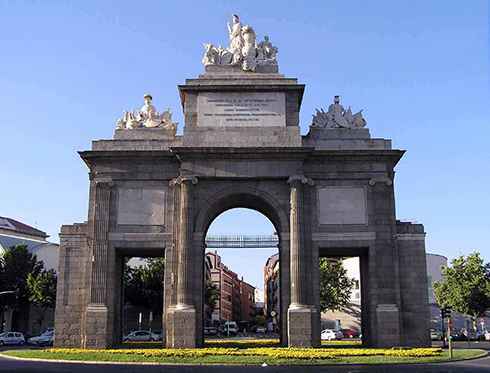 Nineteen metres tall and opened in 1827, this is the most recent monumental gate built in Madrid. The impressive granite construction was started in 1812 under the orders of Joseph Bonaparte. 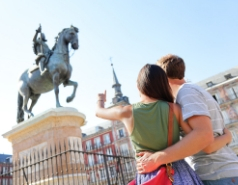 One year later, after the withdrawal of the French troops from Spain, the project continued and Puerta de Toledo became the site to receive Fernando VII, as represented on one of the friezes. The monument consists of a central semi-circular arch, two lintelled gates and a decoration formed by columns.